FALL SEASON IS UPON US! And with fall, there are fallen leaves. As a City resident they will pick up all bagged leaves, therefore there is no need to burn. Please remember, there are infants, elderly, and individuals with respiratory issues. 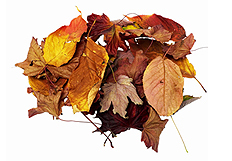 The effect burning leaves has on these individuals could be costly or cause hospitalization. Burning leaves also causes the smoke to enter neighboring homes forcing them to cope with something they did not cause or want. Please be mindful of the association rules and regulations, neighbors and their families, and BAG all lawn debris, to include leaves. If you have any questions of what is acceptable bags and where to place, please call the Sanitation Department at 770-920-3005.